for $340,625 with 2 bedrooms and 2 full baths. 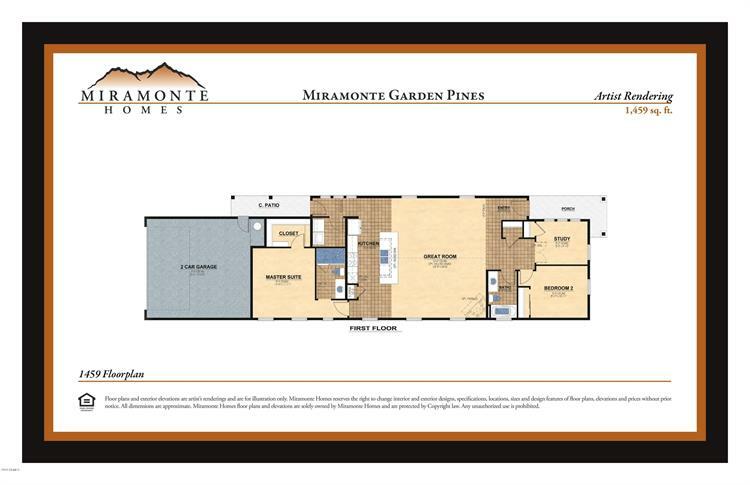 This 1,459 square foot home was built in 2019 on a lot size of 2450.00 Sqft. Up to $3, 500 in closing costs when financing is obtained through our preferred lender, Nova Home Loans. 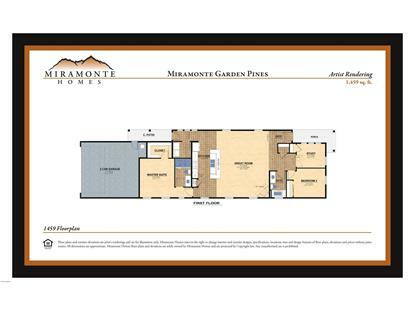 When the say that dynamite comes in small packages, they could be talking about this 2 bedroom 2 bath beauty! This recently completed 1459 SF Garden Home by Miramonte is packed with beautiful finishes! Granite counter tops, custom backsplash, 42'' upper cabinets, and an island in the kitchen. In the great room you will find a fireplace, a mantel, and a 12' ceiling. In addition to the 2 bedrooms, there is also a study. This home is Energy Star Certified! It has a 50-year pro shingle on the roof, Qolsys, the platform for a smart home and ERV, clean air exchange system. If you are looking for a dynamite single story home, this one might be for you!